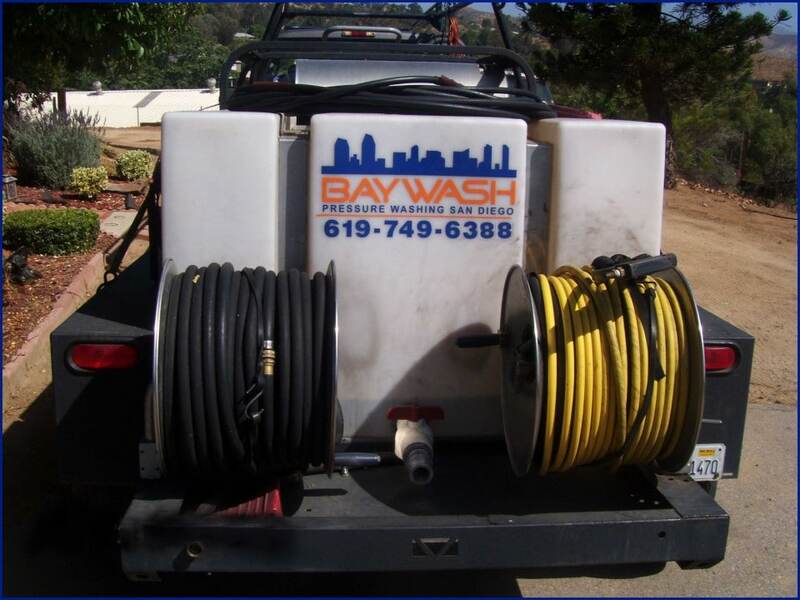 BayWash provides Striping Removal in all facets including the American Disabilities Act, ADA handicap parking areas, and stencils, as well as parking space lines, numbering, and roadway lines. 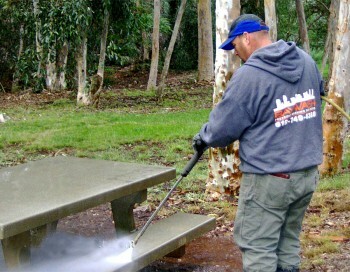 These paints can be removed from concrete surfaces ONLY. 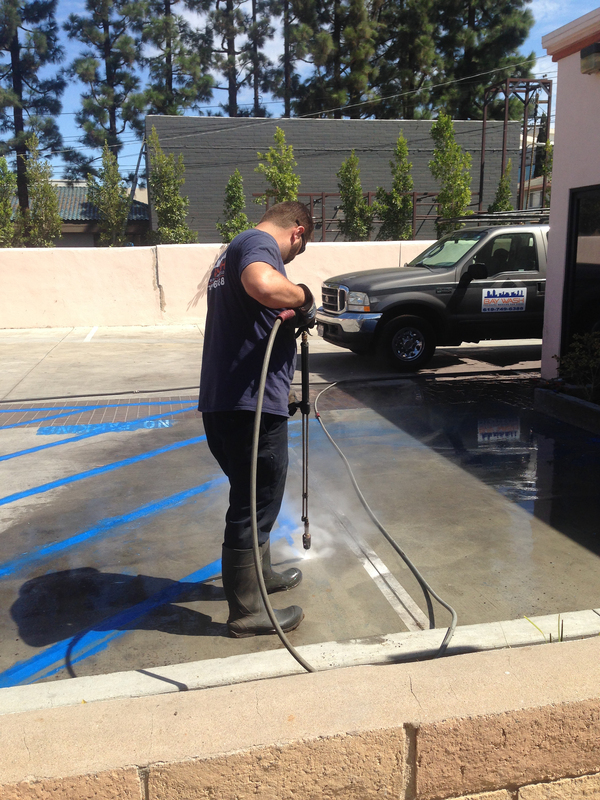 We use different methods with chemicals and hot water, such as vacuuming, spinner or rotating turbo nozzles, or straight spray. 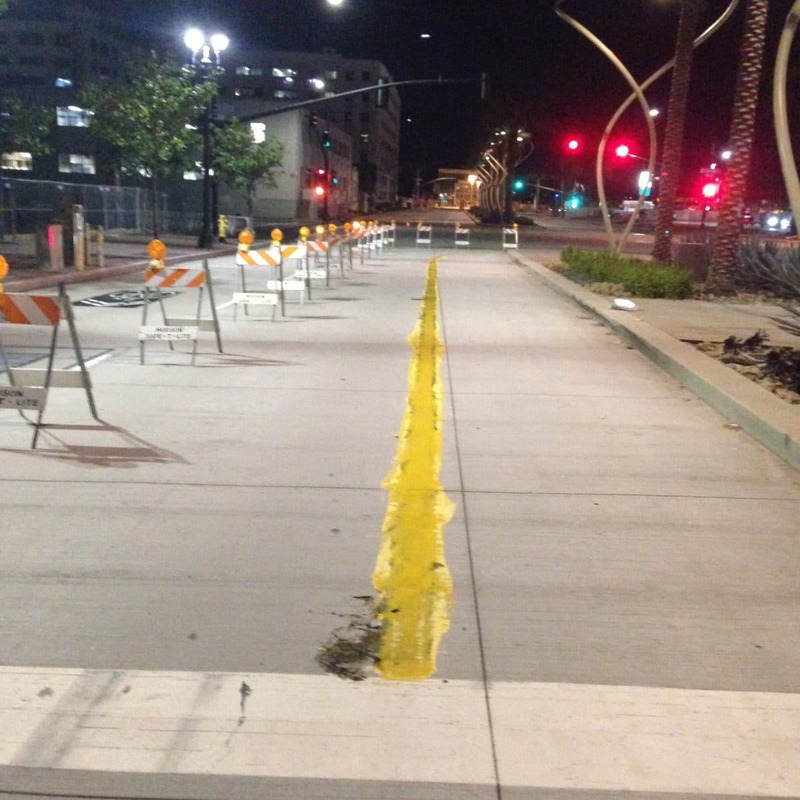 We have done work for Striping Companies and General Contractors, removing lines from locations in downtown San Diego, as well as parking garages and parking lots. 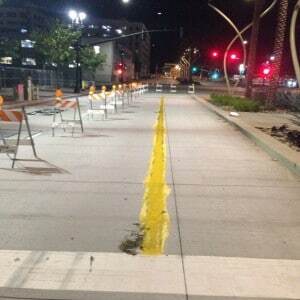 We have Roadway Worker Protection Qualification Card from The San Diego Trolley (MTS Rail) and The North County Transit District (NCTD) which allows working on or near both rail systems in San Diego County.